We typically write about apps and tools, but today we’re writing about a service we’ve actually tried with our own account. Let’s be honest, an Apple focused tech site doesn’t seem right for Instagram, but we didn’t want to be left out. So we jumped on the bandwagon and opened an Instagram account. It sat and collected internet dust. 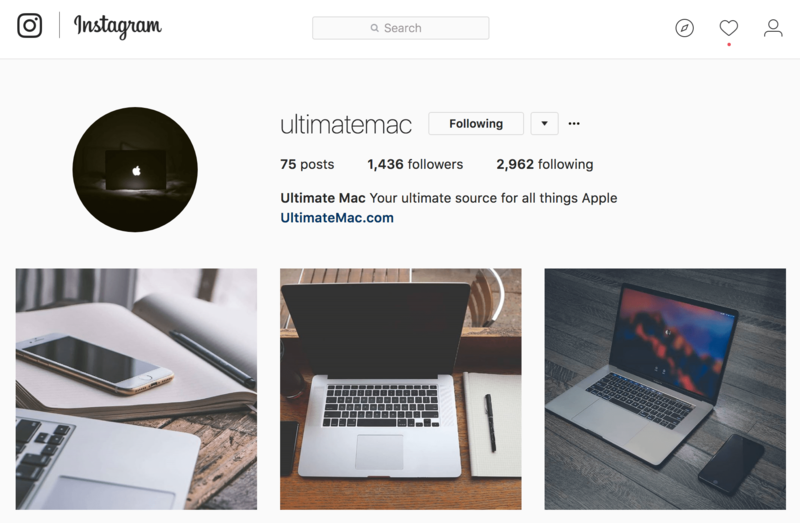 So it was time to find a solid Instagram growth agency that could help kickstart our UltimateMac account. Absolutely no bots! This eliminated 95% of every provider in the market. We just don’t have time for black-hat nonsense, and surely do not want to risk our company account with some random bot. We wanted to talk to them via phone before giving them our money. Only 1 service was professional enough to get on the phone with us. They had to be responsive. Nobody wants to send emails into a black hole of fake customer support. WOW! We were surprised about how difficult it was to find a few trusted players. Unfortunately, this industry seems to be filled with black-hat shady sites and outright scumbags so it’s almost impossible to find a sane person. We eventually found Ampfluence and were skeptical given the other providers we spoke to (or tried to). The folks over at Ampfluence not only responded to our initial email within an hour, it was actually a refreshing response. They actually took the time to explain what they do and how they operate. Imagine that!! A company that actually responded to our questions, and made sense. After discussing details and ensuring they were the real deal, we learned more about their process – see: Ampfluence – How It Works – and were ready to sign up. Throughout the few months that we tested their service, they communicated with us frequently. When we stopped posting, they were sure to nudge us politely. When we changed the password without informing them, they were on top of it and emailed us immediately. When one of our team members screwed up the link in our profile, they let us know. In short, there’s some great folks working there that actually pay attention. We cared mostly about results even though we had no intention of doing much work. For us, this was just a test to see if Instagram could be a good traffic channel and help our brand awareness. We told the Ampfluence team that we didn’t have much content for Instagram, and whatever we had was likely just average. They assured us that growth could be achieved and clearly delivered. After only a few months, below is a screenshot that shows the results on our Instagram account. Clearly, with no real help from us, the Ampfluence team was able to get us results. More importantly, we reviewed the followers and following, and they were on target for our demographic – techies / nerds / apple fanatics! We can go on and on about other things, but this is straight-forward service provider. They promise results and “human-powered” service, and that’s clearly what we got. No bots. No gimmicks. Just like it says on their homepage. So if you’re looking for a legitimate Instagram growth agency, then check out Ampfluence and inquire directly at their site. They have our 5-stars and Ultimate stamp of approval.